Marc Salomon has acquired over 20 years’ experience with Key Accounts, is a Doctor of Medicine, completed his Internship at the Hôpitaux de Marseille, is a specialist in cardiovascular diseases and preventive medicine, and actively participates in various Think-Tanks: Institut Montaigne, Fondation Concorde… Having set up two surgery and cardiac intensive care units in Marseille, which he then went on to manage for 17 years, Marc started and developed several health education and prevention projects – evaluation tools, information databases, vaccination and screening management systems. In 2000, Marc founded Cvotresanté, a company providing health and social services via a telephone platform and website. In 2004, he became manager of two companies dedicated to health education and prevention – MS Conseil and Pasteur MediaVita (Institut Pasteur). In 2007 he became Associate General Manager and responsible for Life & Company, specialized in health and patient education. Furthermore, Marc Salomon acts as a consultant for companies and organizations in the health sector (Ligue contre le Cancer, INCA, Ministry of Health, pharmaceutical companies, consulting firms). He is the author of numerous publications on Prevention, and in particular “le guide de l’équilibre santé”, “Pour en finir avec le stress” and the Alzheimer’s disease practical guide published by Editions Pasteur in 2005 and 2006. He develops health and patient education programs for pharmaceutical companies, insurance companies and organizations, as well as the CNAM: hospitalization guide, treatment pathways, compliance, health management, and stress management. These programs are patient-centered and aim to bolster their involvement in their own health management. He is co-founder of Figaro Santé which he now manages: 4 M views per month. In February 2015, he founded “Anticipation Santé”, a consulting company specialized in e-health and patient education supporting startups such as Honestica, Diet Sensor, C3M, @Health and companies wishing to develop compliance / treatment pathway programs. 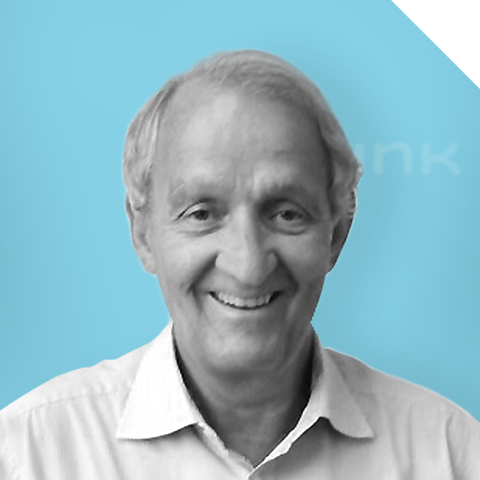 Since 2016, Marc has been sharing his unique know-how with P2link in the field of compliance, with a vision that fits in perfectly with the DNA and objectives of our startup: the patient and their treatment pathway are placed at the heart of the system.